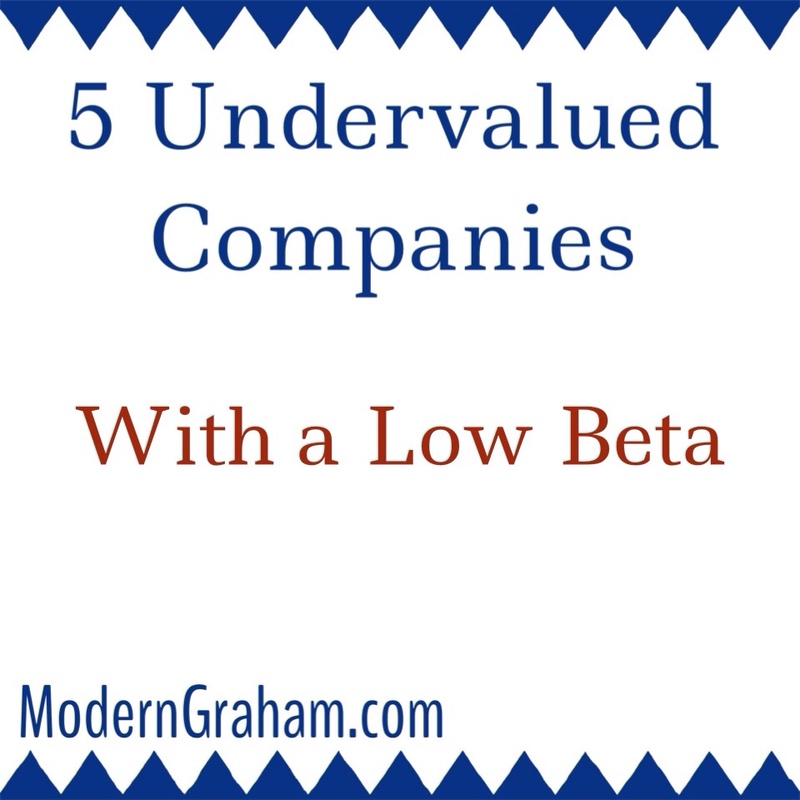 With a low beta, Mr. Market may not hit these companies as harshly in a downturn, so be sure to check them out in depth! 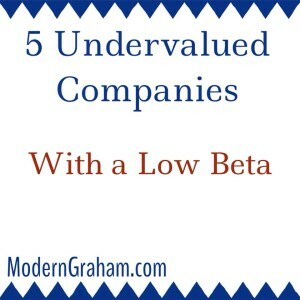 If you’re interested in companies with a high beta instead, check out 5 Undervalued Companies with a High Beta – May 2015! TJX Companies performs well in the ModernGraham model, and is suitable for Enterprising Investors. The Defensive Investor is concerned with the low current ratio as well as the high PEmg and PB ratios, while the Enterprising Investor has no initial concerns. As a result, Enterprising Investors should feel very comfortable proceeding to the next part of the analysis, which is a determination of the company’s intrinsic value. Quanta Services performs well in the ModernGraham model, and is suitable for Enterprising Investors. The Defensive Investor is concerned with the lack of dividend payments along with the high PEmg ratio, while the Enterprising Investor is only concerned with the lack of dividend payments. As a result, Enterprising Investors should feel very comfortable proceeding to the next part of the analysis, which is a determination of the company’s intrinsic value.